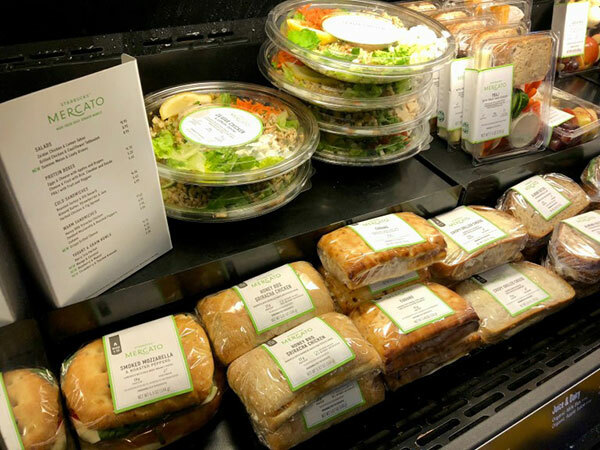 Starbucks, the popular coffee chain, has launched a new food line called Mercato. The Mercato items are currently testing in the cities of Sacramento, San Francisco, Seattle, and Chicago. Mercato food items are currently available at all Elk Grove stores and will roll out to every store in Sacramento by August 2018. This new innovative food by Starbucks embraces the farm to fork concept. Furthermore, it makes Starbucks a place you can go to to grab a healthy meal. It’s important to note, that every night, any Mercato item that is leftover is donated to a local food bank. I had the privilege to taste the new Starbucks Mercato food line recently and I was completely blown away. While I expected it to be healthy, I was so surprised by how much I liked the new food items. Seriously, you don’t expect to get a phenomenal meal from Starbucks, which most people think of as a coffee chain. However, every item I tried was healthy and flavorful. Prior to my trying the Mercato food line, I had never thought of Starbucks as a place I could go to for lunch. That has changed. Please note, I will absolutely be going to Starbucks for lunch in the future. 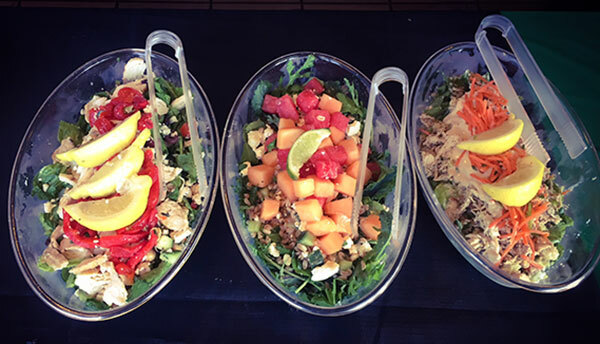 The Starbucks Mercato line consists of some healthy salads and they are Za’atar Chicken & Lemon Tahini Salad, Grilled Chicken & Cauliflower Tabbouleh, and Summer Melon & Leafy Greens. Also available are some healthy yogurt and bowls. 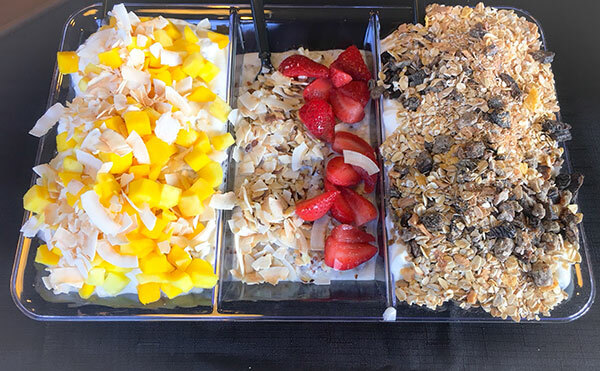 These are the Mango & Coconut Yogurt Bowl, Blueberry & Muesli Yogurt Bowl, and Strawberry & Toasted Almonds Overnight Grains. There are both cold sandwiches and hot sandwiches. The cold sandwiches consist of Roasted Turkey & Dill Havarti, Almond Butter, Strawberries & Jam, Chicken & Fig Spread. 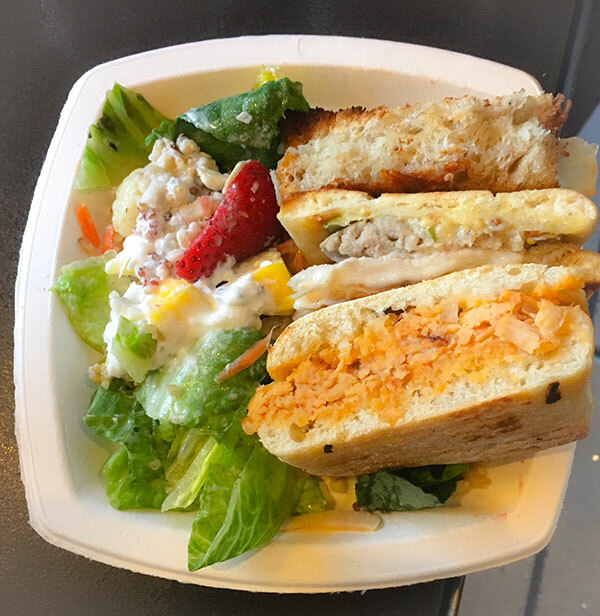 Last but not least, the hot sandwich options are Honey BBQ Sriracha Chicken, Smoked Mozzarella & Roasted Peppers, and Crispy Grilled Cheese. Seriously, it’s really hard to pick what you want to eat with the Mercato food line. After trying everything, my favorites were the Crispy Grilled Cheese Sandwich and the Za’atar Chicken & Lemon Tahini Salad. 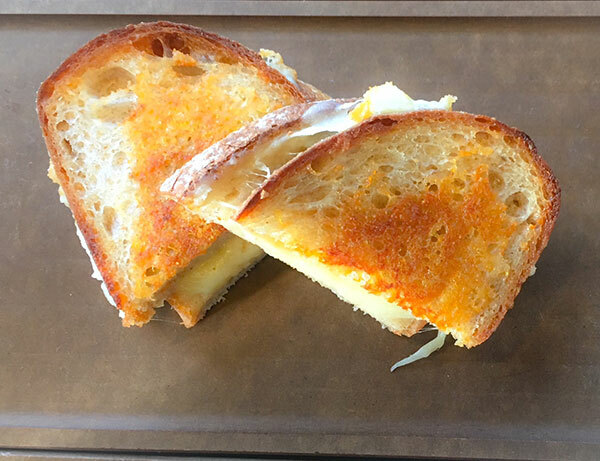 The Crispy Grilled Cheese consists of a blend of high quality cheeses. It was seriously as good as any grilled cheese I’ve ever had. The Za’atar Chicken & Lemon Tahini Salad has ancient grains, romaine, tzatziki, white chicken meat, marinated carrots, with lemon and lemon tahini dressing. I think I will be getting the Crispy Grilled Cheese and Za’atar Chicken & Lemon Tahini Salad for lunch regularly from now on. Important to note, the Starbucks Mercato line is not only healthy, but designed to give back to our community. Starbucks has partnered with Feeding America. Their goal is to reduce food waste and give back to people in the local community. Each night unsold Mercato items are picked up by refrigerated Starbucks trucks. The food is then delivered to a local food bank. Food from the Sacramento stores are donated to the Sacramento Food Bank, Placer Food Bank, and Yolo Food Bank. Food from Elk Grove is currently being donated to San Joaquin County Food Bank. Most relevant, Elk Grove Starbucks manager Chase Garibaldi is working with Vice-Mayor Darren Suen to try to get food from Elk Grove Starbucks locations donated to the Elk Grove Food Bank. In conclusion, I am honestly impressed with the Mercato food line from Starbucks. The food is healthy and fresh and I love that. I find the food to be tasty and delicious. Furthermore, I love the idea of supporting a business which gives back to our community. I’ll definitely be back to Starbucks soon for that Crispy Grilled Cheese and Za’atar Chicken & Lemon Tahini Salad!